A Language Lab is an audio-visual installation used as an aid in modern language teaching. Language Labs are environments designed to enhance language learners’ skills and are generally equipped with analog and digital hardware, and software. They provide practices in listening & speaking, with the goal to reinforce the grammar, vocabulary and functions taught in the class. Admitek Speech Digital Language Lab is a premier, state-of-the-art language learning solution for teachers & students. It is a tried & tested solution which offers a cutting-edge over existing Language Lab systems with its easy to use interface & power packed features. Admitek Speech Digital Language Lab aims to improve speaking & listening skills, while helping students to be familiar with the different aspects of a language like pronunciation, accent, stress and phonetics. Effectively manage all students in your class – their profiles, files, etc. You can also lock their computers in just one click. Call, Chat & Communicate with single or multiple students at a time, in real-time mode over voice or audio chat. Want to demonstrate something on your computer to the students? Use ScreenCast feature to accomplish this. Organize & manage all your files, your students’ files & recordings in a more efficient way than before. Broadcast Videos & Audio files directly to students for better learning & demonstration, straight from the Admin Panel. Need help in understanding or translating a word? Our software has an in-built dictionary in it for assistance. 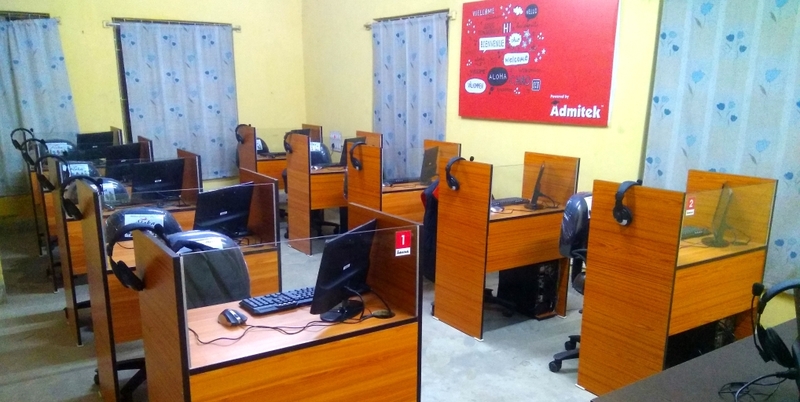 Admitek Digital Language Lab is completely software-based Language Lab & does not rely on physical wires or switches. We offer free learning materials with our Software for better learning, understanding & demonstration. Interested in Admitek Speech Digital Language Lab?